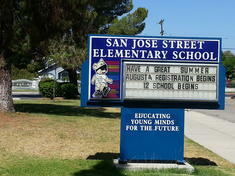 San Jose Street School: Welcome to San Jose Street School! San Jose Street School provides a learning environment which supports and encourages each student's academic personal and social growth. We offer a challenging education program within a nurturing and caring environment. Children from a variety of ethnic, cultural and economic backgrounds unite for an active and comprehensive curricular program. 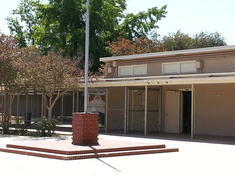 San Jose Street School is a dynamic educational community of students staff parents and administrators who hold high expectations and adhere to academic rigor for optimal student achievement, development and conduct. For more information on school demographics, click here.